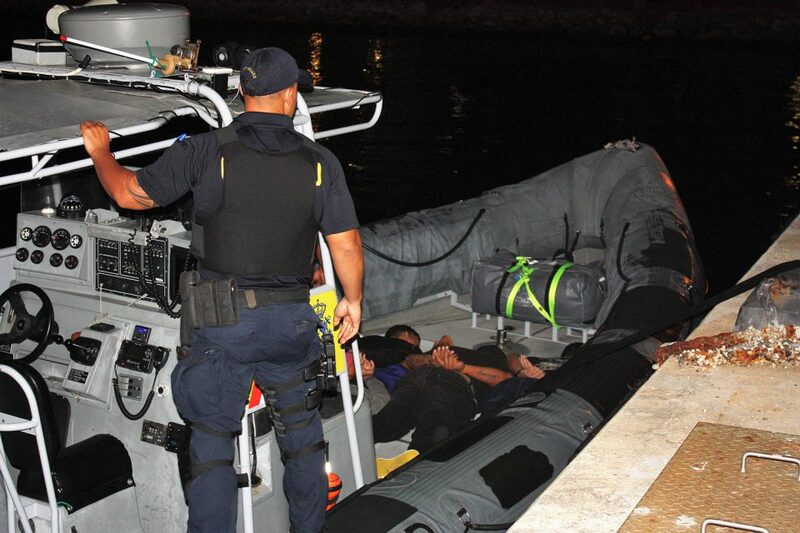 WILLEMSTAD - The Dutch Caribbean Coast Guard has intercepted a bunch of narcotics on a Venezuela vessel on Monday evening. Six persons aboard were arrested. The boat was detected on the radar of the Rescue and Coordination Center. When the Venezuela crew spotted the Coast Guard boat they threw two bales overboard but these were fished out the water by the officers. There were four packets of drugs in them.